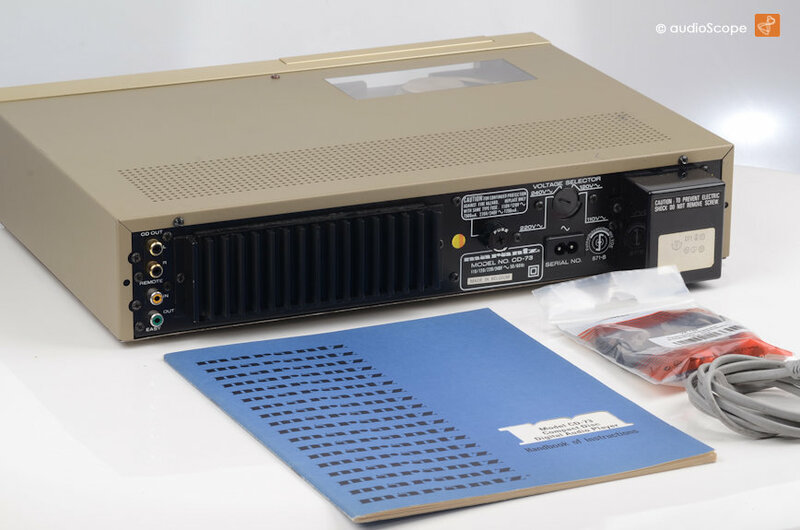 When the CD 73 hit the market in 1983, it was a little revolution. 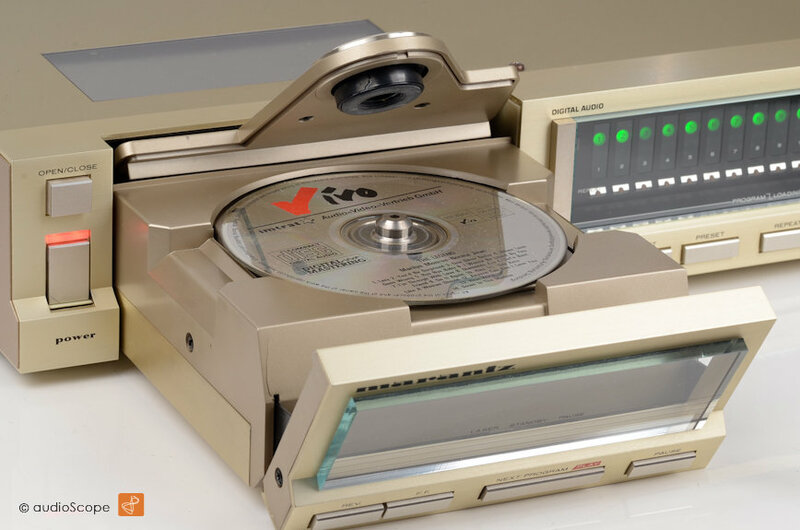 Definetly the first "good" or better " extraordinary" looking CD-Player. 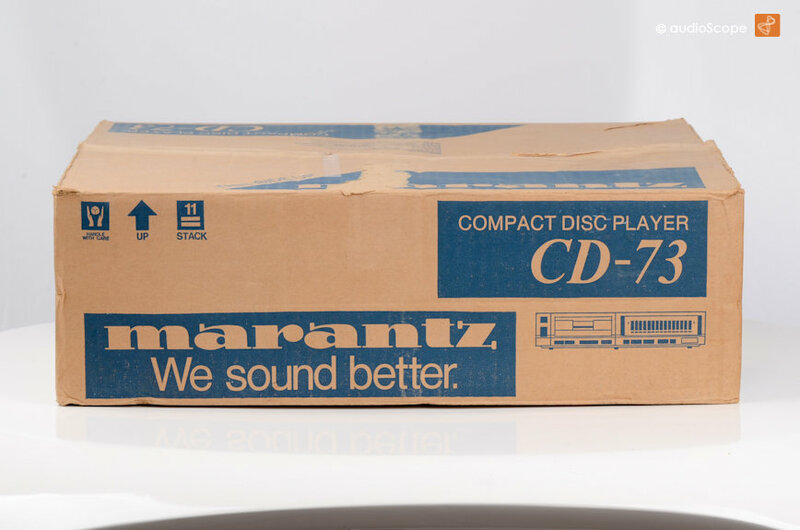 The technical base was similar to the "first" Marantz toploader, but the disc loading mechanism was changed. 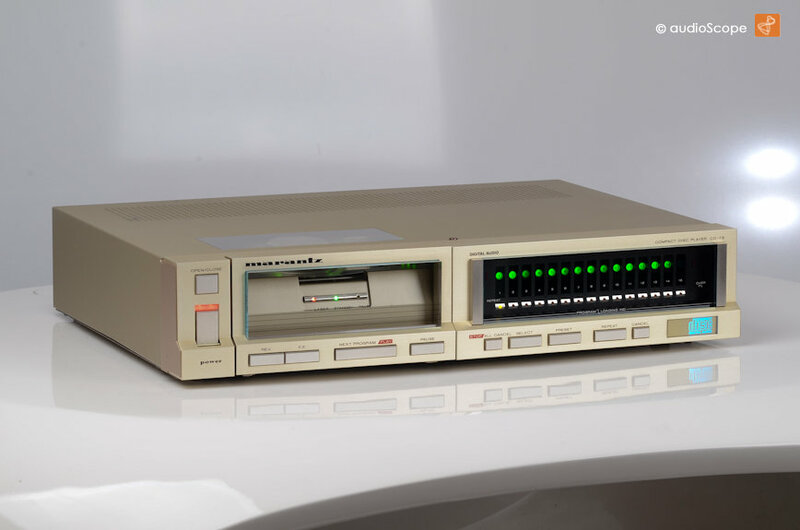 Since then, everybody remembers the player with the "thick" disc carrier! The interface design of this CD-Player reminds to the conventional analog record player. First of all, there is no time code displayed! 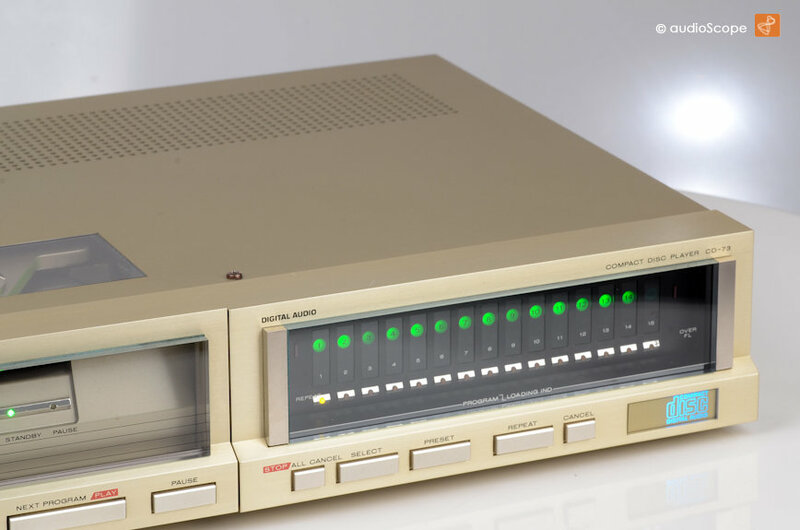 (Did you ever ask yourself why all the CD-Players since then have time displays?? ) Second, if you choose to listen to track 7, the laser does not jump to the 7th track... It starts at track 1 and searches the beginning of the next track untill it arrives at its destination. Well, that takes some time but it can inspire the listener to adapt to this speed..... . 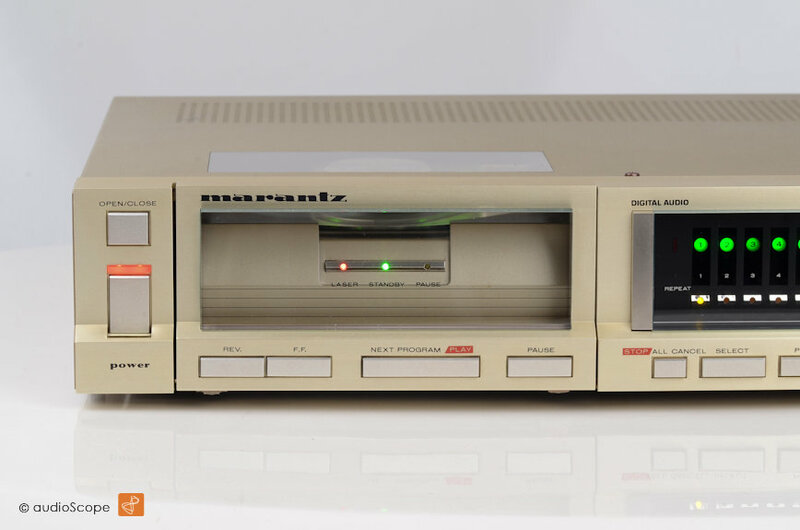 Concerning the sound of the CD 73: It is still one of the nicest sounding CD-Players built in the 80ies. 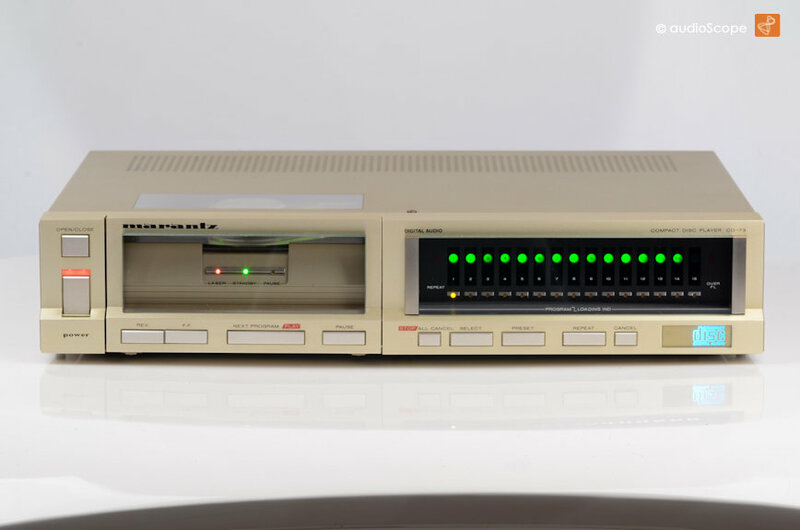 It sound very "analogue" because of the very solid disc mechanism. The CDM 1 is known for its ever lasting quality and perfect reading characteristics. If the data is well read, you do not need that much error correction. That makes it sound very natural. It plays CDR without any problems aswell. .
All in all, a wonderful player. Design, sound and handling will keep it special for the next generations. The optical condition is very good and clean, only light wear is visible on top if you take a closer look. Including the complete documentation. Original box, spec sheet and owners manual. From first owner. Voltage selectable.